By 2050, it is projected that at least 20% of all Americans will self-identify as two or more races so what will this mean to a nation tormented by race? Filmmaker Eli Steele takes us on a personal journey to find out how this will affect his family and what boxes he may have to tick in the future. Let’s be brutally honest here, the United States of America has a race problem. It always has. Since the birth of what we now consider to be the good old US of A, race has played a huge part in its creation and makeup. 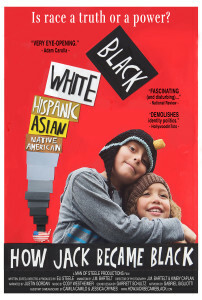 The director of ‘How Jack Became Black’, a thought-provoking new documentary about racial divides, Eli Steele was born white, black, Jewish and deaf which gives him a terrific insight into what is a hugely flammable and extremely topical discussion. 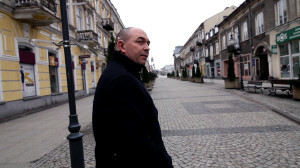 Due to his ethnicity and disability, Steele battled bullying and hate at school while as an adult battled identity politics within education and employment. Throughout all of this turmoil, however, he believed that it was holding onto his own individuality, rather than his skin colour that was part of America’s promise to him. More recently, the births of his children Jack and June, the third multiracial generation in Steele’s family, has led to this belief being shaken. Especially when his son was denied entrance into a public school simply because as his father, Steele refused to name his child’s primary race. Throughout the 90 minutes, Steele takes on identity politics by using interviews of people from all races and thoughtful re-examinations of headline controversies such as the George Zimmerman trial, a conference on white privilege and New York Mayor Bill De Blasio’s election campaign. He does this in order to ask why race still matters so much and why do we have to keep putting people into boxes? The majority of Steele’s film consists of interviews with a wide range of people and they all give their own interesting take on Steele’s interesting questioning, such as should a person’s race be considered more important than their character? These scenes are all interspersed with archive footage of the civil rights movement and short pieces of animation. The editing of this footage keeps the film interesting and it rarely stays still for long. However, Steele does seem to spend a large amount of his time on the Florida shooting of 17-year-old Trayvon Martin by local neighbourhood watch volunteer George Zimmerman. Steele argues that this incident wouldn’t have been as big if the New York Times had correctly printed that Zimmerman, whose mother was from Peru, was of mixed race as opposed to white-Hispanic. This, of course, is possibly true but in making the point the Trayvon Martin case would not have become the race war it did if the right terminology had been used. Steele seems to forget the overall picture. The race war that occurred after wasn’t because of this individual case it was due to years and years of substantially more black people being killed by nonblacks. The fact remains that black males aged 15-34 are nine times more likely than any other Americans to be killed by police. While black people, in general, are twice more likely to be killed by police than white people and that certainly wasn’t the type of box they wanted to be put in. 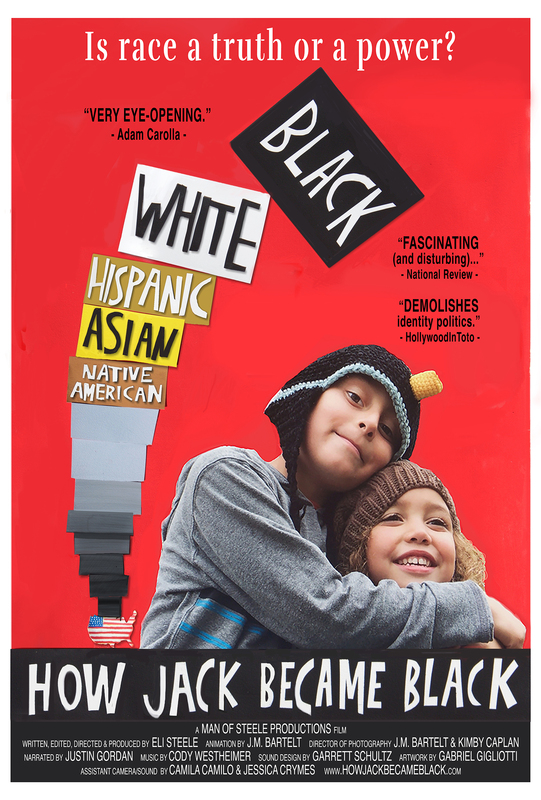 What ‘How Jack Became Black’ does achieve is getting its audience to think about and answer the difficult questions and whether you lean to the left or to the right of the political spectrum, Steele’s film should not be missed.